If you’re an adrenaline seeker and love heights, Beloit has skydiving and gliding adventures for you! Be on top of the world and soar with the birds at one of two great air adventures at the Beloit Airport. Skydiving and glider rides are both available at the Beloit airport. The airport is conveniently located at the first exit just south of the I-90/I43 intersection at the border of Wisconsin and Illinois. Skydive the Rock offers tandem skydiving, solo training, and welcomes experienced skydivers. Enjoy a jump from 14,000 feet with experienced tandem masters and enjoy a bird’s eye view of the beautiful Rock River and surrounding countryside! While you wait to jump, you can enjoy a picnic with your family, watch TV, or play pool or foosball in the lounge. Of course you can kick back and watch other jumpers while you wait for your turn! A tandem jump costs $239 which includes a $50 deposit at the time of booking. In addition, you can get still photos of your jump for $75 or upgrade to photos and a video for an $90. If you are ready to skydive and mark the adventure off your bucket list, schedule your dive today! Sylvania Soarding offers glider rides, rentals, and instruction. In addition, they offer gift certificates and multi-flight packages. They are open on weekends from late April through November, and they start scheduling in March. So, you can make your reservation now! A glider ride offers a spectacular view, and you can even see the Chicago and Milwaukee skylines on a clear day. A glider ride will truly be an unforgettable experience! If you aren’t fond of soaring with the birds, you can always sit at a picnic table under beautiful oak trees and watch gliders and airplanes take off and land. Rates range from $149 or 2 for $179 each for an introductory scenic ride to $219 or 2 for $209 for a mile high ride. 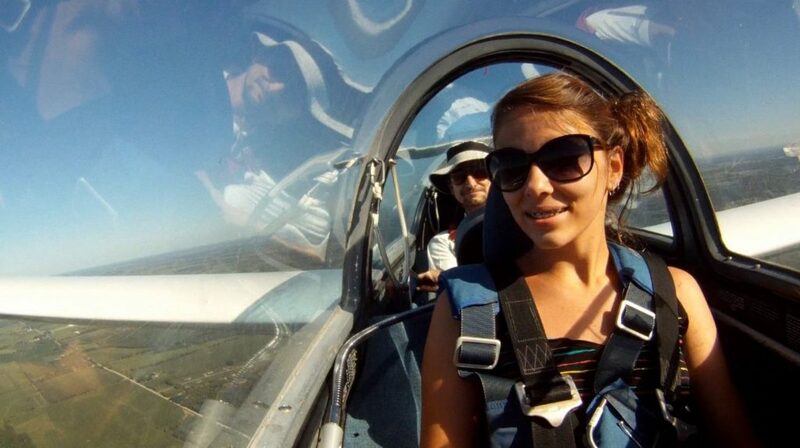 Click here to see videos inside a glider as it soars through the sky! For more great ideas to help you plan your visit to Beloit, check out our blog.